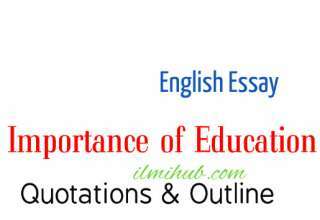 Here is an Essay on Qualities of an Ideal Teacher for students of different Classes. 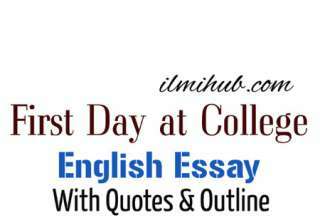 Students can write the same material if the question is, Essay on an ideal student, An Ideal Teacher Essay, Essay on Qualities of an Ideal Teacher, Essay on Qualities of Favourite Teacher. 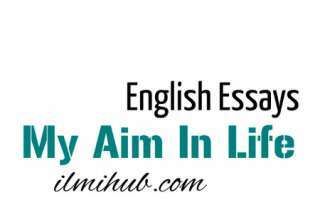 Teaching is known as a noble profession it is rightly said. In the past, a teacher was a man of great learning and knowledge. He was held in great esteem for his freedom of ideas and independence of judgement. A good teacher influences the mind of his students. He shapes and moulds his conduct and behaviour. He inspires him to do acts of nobility and goodness. The old teachers were respected by their students for their humble and simple habits.They were morally very sound. A teacher in the modern world should also be charged with moral spirit to guide and inspire his students. He must be a model of excellence for them. He must be a friend, philosopher and guide to his students. He must build the vision of students “to greatness”. It is under the influence of good teachers that great leaders, statesmen and scholars have born in the world. A good teacher knows the psychology of his students and moulds his character not by sermons but by suggestive methods. The teachers are men of learning and knowledge. They are men of sound judgement. They are liked by people for their scholarship, wisdom and mature ideas. They have the zest for learning. They are lovers of books They communicate their learning and wise ideas to their pupils. A teacher’s job does not end with the class work. He inspires and guides his students day and night. He teaches the pupils to face the hardships of life squarely. He teaches them to remain cool and calm in every situation. He teaches them the value of culture. He helps them to become good citizens. He prepares them for future life. Teaching is a lucrative profession nowadays. A teacher teaches the boy for some time and leaves his place of teaching after teaching a few hours. He is imbued with material spirit. He runs after tuitions and tries to make himself well off. This is not wrong to some extent. Everybody has the right to make his life materially comfortable. But a teacher’s job is different from other members of society. He has to build a nation. He must stay in the college and school to build and shape the character of his students. The teaching profession lends dignity and respect to the teachers. It is a rewarding profession. Even in this commercial society, the teachers are loved and respected by their students. The students who make progress in different fields of life bow to their teachers respectfully when they visit their office or chamber. They pay full respect to them and help them in their difficulties and hardships. The modern teacher has no doubt lost his respect and dignity in society owing to his loose habits. He is not now a man of cultured habits. He is not disciplined. His habits are low and shallow. In order to rebuild his image, a teacher must rise above petty ideas. He must rise above religious bias, sectarian feelings and narrow-mindedness. He must be a man of lofty ideas. You may also like Essay on Why I Love Pakistan.